The pretty, tree-lined high street of Tenterden is architecturally interesting as well as being steeped in history with old boutiques, taverns and homes in abundance. 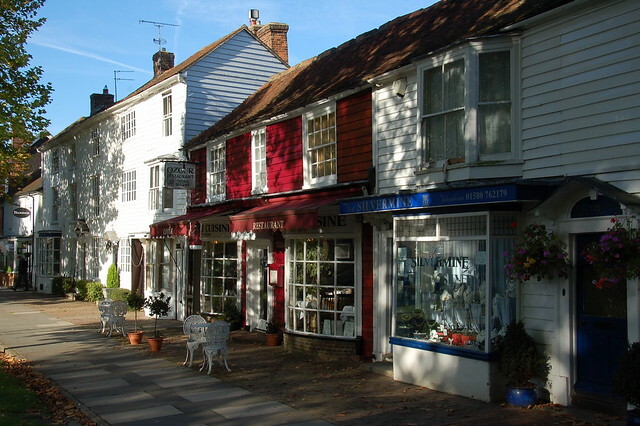 Originally one of the Cinque Ports, Tenterden has become a thriving and affluent town. Eat and drink: The Woolpack on the High Street is a cosy 15th-century pub and restaurant with rooms whose exposed brick walls and open fireplaces provide a comfortable sanctuary to enjoy a few drinks. Nearby attractions: National Trust-owned Smallhythe Place, family friendly Kent & East Sussex Railway, and Chapel Down vineyards. Events: The May Fayre is a popular event in the town’s diary, as is the annual Tenterden Folk Festival including “four days of folk song, music, dance, craft and traditions” in the town centre. 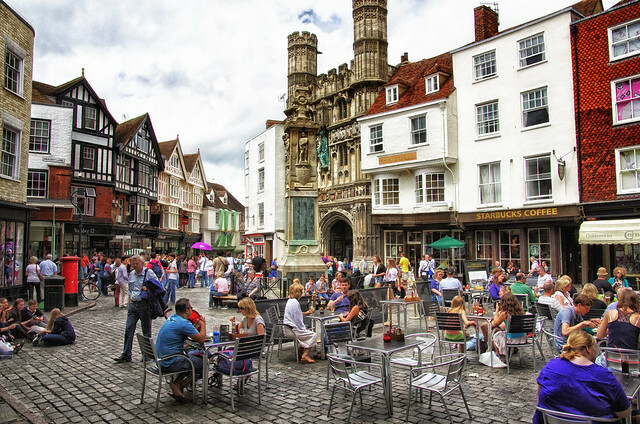 With cobbled streets and historic buildings that epitomise the quaint British character, Canterbury is consistently one of the most visited cities in the country. A UNESCO World Heritage Site, Canterbury was immortalised in literature with Geoffrey Chaucer’s iconic 14th-century book The Canterbury Tales. Eat and drink: For some traditional British fine dining, try Corner House on Dover Street: order some confit pork belly with mash, grilled hispi, black pudding fritter and a cider jus. Or there are plenty of great pubs with beer gardens to visit for a tipple or two. Attractions: Canterbury Cathedral, the seat of the Archbishop of Canterbury, is a hugely popular tourist attraction. Events: Canterbury Festival, Kent’s International Arts Festival, takes places over two weeks in October and features music, lectures, science, visual arts and plenty for the kids to do too. Five miles outside of Canterbury is the seaside town of Whitstable. Famous for its oysters that have been collected there since Roman times, Whitstable’s seafront is full with cupcake coloured houses, pretty coffee shops and sun-trapping beer gardens. Eat and drink: To get the full Whitstable experience, pay a visit to Whitstable Oyster Company and order a platter of rock oysters, or head to the Michelin starred gastro pub Sportsman just outside the nearby village of Seasalter. Attractions: Whitstable Castle is a great spot for afternoon tea. 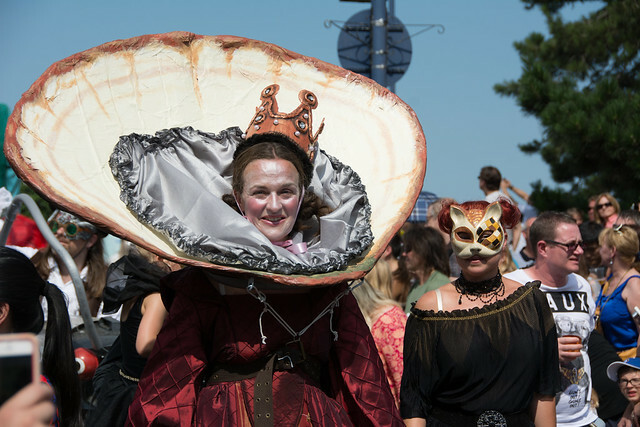 Events: Whitstable Oyster Festival takes place in July and although it becomes very busy, there is always lots to do including watching historic re-enactments, browsing street food stalls and, of course, eating lots of oysters. Another former Cinque Port is the lovely medieval town of Sandwich, known for its historical architecture and the pebbled Sandwich Bay beach. Eat and drink: The Hop and Huffkin creates comfort dishes from local Kentish produce alongside local ales and wines. Attractions: Explore the manicured Salutation Gardens or go bird watching at the Sandwich and Pegwell Bay National Nature Reserve. Events: Sandwich Festival normally takes place at the end of August and lasts eight days. The festival features concerts, vintage car shows, street barn dances and much more. The market town of Faversham has been a home of beer brewing for centuries with one of the most recognisable being Shepherd Neame which was founded in 1698. It has lots of unique independent shops and over 500 listed buildings. Eat and drink: The 13th-century Plough Inn in the nearby village of Lewson Street is perfect for a cosy pint and traditional British pub food. Or try Read’s Restaurant, housed in an attractive red brick building, which serves seasonal British cuisine made with local ingredients. 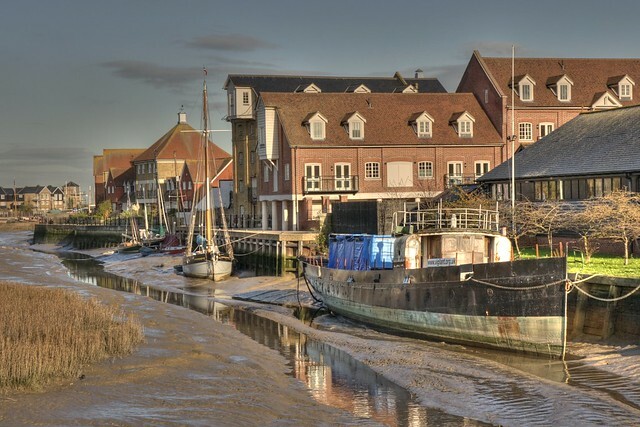 Attractions: Watch the boats at Faversham Creek or take a tour of the orchards at Brogdale Collections. Events: Faversham Market, held in the town centre is reportedly the oldest street market in the county with stalls overflowing with local Kentish goods. The historical town of Westerham is surrounded by gorgeous Kentish countryside and though just a few miles from London, it is an archetypal example of rural living. Its history goes back as far as the ninth century and there are lots of routes to enjoy walks from woodland to rolling hills. Eat and drink: After exploring Westerham town, head into the pretty countryside to The Fox and Hounds pub for dishes that are seasonally changing. Attractions: Now owned by the National Trust, Chartwell Manor lies just outside Westerham and was the home of Winston Churchill from 1922 until his death in 1965 – the house provides “an intimate portrait of the Churchill family” for its visitors. Events: Westerham Rocks is an annual festival of rock music with great rock acts and tribute bands to some of the best bands of all time. Follow the Facebook page to stay updated. Gaining its name from ancient oaks that stood in the area for over 1,200 years (six of which were lost during the Great Storm of 1987), Sevenoaks is a charming town with a quirky history and plenty of pretty houses to ogle at and boutique shops to duck into. Eat and drink: For a sweet treat to fuel your explorations, head to Eat ‘n’ Mess on London Road. Alternatively, to enjoy exciting contemporary British cuisine, the Vine Restaurant on Pound Lane has a two or three-course lunch menu featuring starters of nduja scotch egg with garlic mayo, steak and fries for main and chocolate brownie with burnt caramel ice cream to finish. Attractions: National Trust-owned Knole includes a stunning 400-year-old stately home with five showrooms to explore, private walled gardens and 1,000 acres of deer parkland. The Vine Cricket Ground is one of the oldest cricket venues in the country and this is where the third stump on the wicket was first introduced! Events: The Sevenoaks Summer Festival has been running for nearly 50 years and its lineup is packed with music, theatre, poetry and talks. Tunbridge Wells is called so because of the chalybeate spring that was discovered by Lord Dudley North in 1606 and became a spa retreat for royalty and noblemen and women to visit for its purported healing properties. 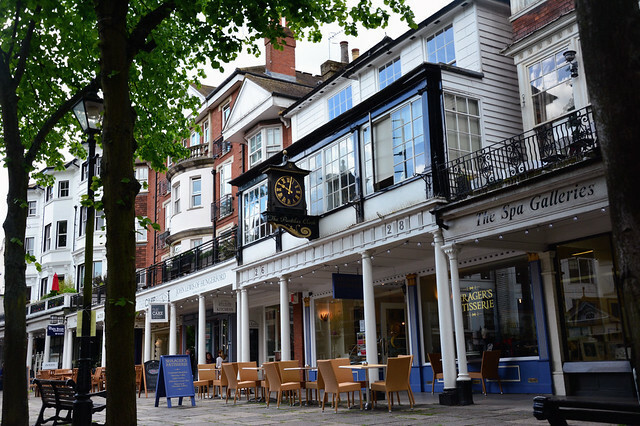 Now though, Tunbridge Wells is known as an affluent town with lots to offer. Eat and drink: For a taste of Naples, order some home cooked Italian food from Il Vesuvio or try Sankey’s The Old Fishmarket, a decadent Champagne and seafood bar nestled in The Pantiles that makes use of fresh local fish and shellfish. Attractions: The Pantiles is great for shopping, cafés and the ever-popular market which is held on the first and third weekend of each month. The Chalybeate Spring is still in tact. Make sure to try a splash of its water, served by a costumed ‘dipper’. If the weather’s nice, the gorgeously landscaped Dunorlan Park is a 20-minute walk from the centre of town. Events: Tunbridge Wells Arts Festival takes place in March each year. Just outside of Tunbridge Wells, the first Black Deer Festival of Americana and Country will take place in 2018 in Eridge Park - click here to win four adult day tickets! 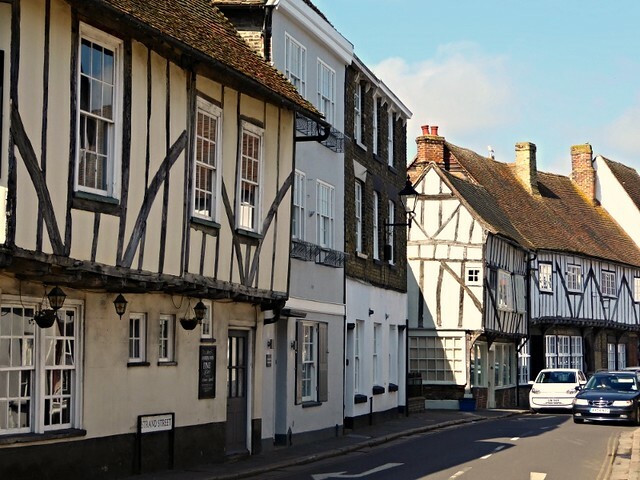 The small market town of West Malling is home to plenty of old buildings, pretty shops and great eateries to sample along the way. Eat and drink: Stylish dining can be found at The Swan on Swan Street and can be visited for brunch, cocktails, a full Sunday roast or a sparkling afternoon tea. Attractions: The Cascade is a Late Georgian ornamental waterfall in the town and St Leonard’s Tower is a Norman keep of historical interest. If you head just outside the town, Manor Park Country Park is a pretty manor house and grounds well worth exploring. Events: Music@Malling Festival has been going for eight years and takes place in September; historical sites around the town play host to an eclectic mix of contemporary composers. Another pretty Wealden town is Cranbrook. A walk through the old parts of town provides attractive architecture, views over the Weald and some interesting historical delights too. Eat and drink: Apicius on Stone Street serves a menu of ever changing local fare and you can choose to have up to six different courses. Check the website for the latest menu. Attractions: What will most likely draw your eye upon visiting Cranbrook is Union Mill. Built in 1814, this mill is still in working order. Events: Cranbrook Literature Festival will have its third innings in 2018 on Friday 28th to Saturday 29th September.